I live and work in beautiful Raleigh-Durham area of North Carolina. Since we moved in Summer 2016 with my kids (Jack and Maddi, 8 and 6) and I have enjoyed exploring the towns around us. 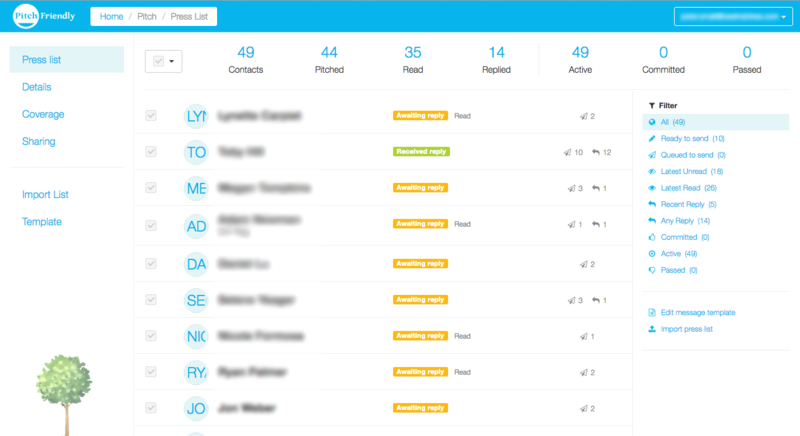 I built PitchFriendly with Joel Andren in October 2013 to help startups manage their own PR. As PressFriendly it launched in February 2014 with a system that uses machine learning to decide which reporters should be pitched for a particular story. Since then the software has shifted into helping PR reps be more organized and efficient. I built some pretty cool things like the first versions of HelloSign for Gmail and HelloSign for iOS.